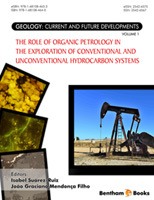 Welcome to the e-book entitled “The Role of Organic Petrology in the exploration of Conventional and Unconventional Hydrocarbon Systems”. This book is intended to serve as a basic guide for all those who might be interested in one of the hot topics of applied organic petrology: hydrocarbon systems (conventional and unconventional). The book explains what hydrocarbon systems are, how they form and how and why they are investigated by means of organic petrology, a branch of Earth Science that started as coal petrology at the beginning of the 20th Century. The authors who have contributed to this book are Senior Organic Petrologists with a broad experience working in this field for Petroleum Companies, Universities and Research Institutions, or for Private Laboratories linked to these Oil and Gas Companies. The Editors of this book would like to thank Fariya Zulfiqar, Assistant Manager of Bentham Science Publishers, for her kindness, her support and for giving us the opportunity to publish this volume. We would also like to thank all those who, in one way or another, contributed to making this work a success, many of whom are included in the acknowledgement section of the chapters.